The Best UK Nutrition Blogs from thousands of UK Nutrition blogs on the web using search and social metrics. Subscribe to these websites because they are actively working to educate, inspire, and empower their readers with frequent updates and high-quality information. 2.1 Nics Nutrition | It's not about diets, it's about a way of life! UK Nutrition newsletter is a comprehensive summary of the day's most important blog posts and news articles from the best UK Nutrition websites on the web, and delivered to your email inbox each morning. To subscribe, simply provide us with your email address. 1. Nics Nutrition | It's not about diets, it's about a way of life! Leeds, UK About Blog I’m a UK Specialist Registered Dietitian (RD). I have a passion for promoting easy to understand nutrition and diet tips. My aim is to motivate and inspire YOU to lead a healthier and subsequently happier life, one step at a time through my nutrition blogs, healthy lifestyle tips and recipes, and healthy product reviews. Facebook fans 10,290. Twitter followers 19,783. London About Blog Nutrition Raw covers much more than food. Follow this blog for health tips and articles on natural health and diet with a unique perspective and ideas. Facebook fans 2,332. Twitter followers n/a. London, UK About Blog Christine is an award winning Nutritional Therapist, Functional Nutrition Practitioner, Chef, Author and Broadcaster with over 18 years of experience. Discover her healthy allergy free, low sugar, paleo, vegan and raw recipes and gain nutritional insights to optimise your health and nutrition. Here you will find useful articles, cookery tips, news and more. Facebook fans 3,482. Twitter followers 15,753. London, England About Blog The Food Medic is a product of who I am and what I do; I'm a practicing doctor with a special interest in nutrition, and a qualified personal trainer. Here I show you how to maximise your health through nutrition and exercise, and teach you, step-by-step, healthy habits for life! Facebook fans 20,095. Twitter followers 21,718. Belfast - UK About Blog 121 Dietitian's award winning nutritional consultants not only provides personalised specialist advice on diet and health, but they also analyse blood test results to ensure nutrient levels are optimal determining the most appropriate programme for each individual. Facebook fans 1,322. Twitter followers 770. London, England About Blog Amelia Freer is a qualified Nutritional Therapist based in London. I am a real foodie and absolutely encourage the enjoyment of food along with keeping my nutrition guidance realistic, practical and achievable – always with the goal of improved health. Follow this blog for nutrition articles and advice. Facebook fans 55,892. Twitter followers 81. Bristol, England About Blog Rosie Letts is an Award-Winning Nutritionist & Functional Practitioner. Her mission is to help you live a healthier and more fulfilling life, filled with energy and free from painful symptoms of conditions that are all too common in our modern society. Facebook fans 1,648. Twitter followers 676. Cambridge, England About Blog I am a Registered Associate Nutritionist offering bespoke nutrition consultations through my nutrition clinic, Essentially Nutrition. I am also a blogger and a massive foodie! I have a BSc in Human Physiology, and a MSc in Human Nutrition so you could say I am a bit fascinated by what makes us tick. My philosophy is that nutrition should be about nourishing yourself with the food that you love in a way that makes you feel your best. Facebook fans 72. Twitter followers 126. London, England About Blog Marcelle Rose is a qualified and registered Nutritional Therapist and works with you to inspire, educate and empower you to take control of your health, so that you will feel and look your best. Facebook fans 662. Twitter followers 63. United Kingdom About Blog SR Nutrition is a nutrition consultancy company directed by Charlotte Stirling-Reed who is a Registered Nutritionist and specialises in child health, weight loss and Nutrition in the media. Follow this blog for Simple and Realistic nutrition advice, tips, healthy recipes and more. Facebook fans 1,041. Twitter followers 6,034. London About Blog Blog by London dietitian on trustworthy child nutrition advice, tips for healthy children. Meal and snack recipe ideas, hot topics on nutrition, busting myths. London About Blog LEC Nutrition is the private practice of Laura Clark, Registered Dietitian and Sports Nutritionist. Through consultations and other nutrition services Laura educates, motivates and inspires people to lead healthy, balanced lives. Facebook fans 290. Twitter followers 1,531. 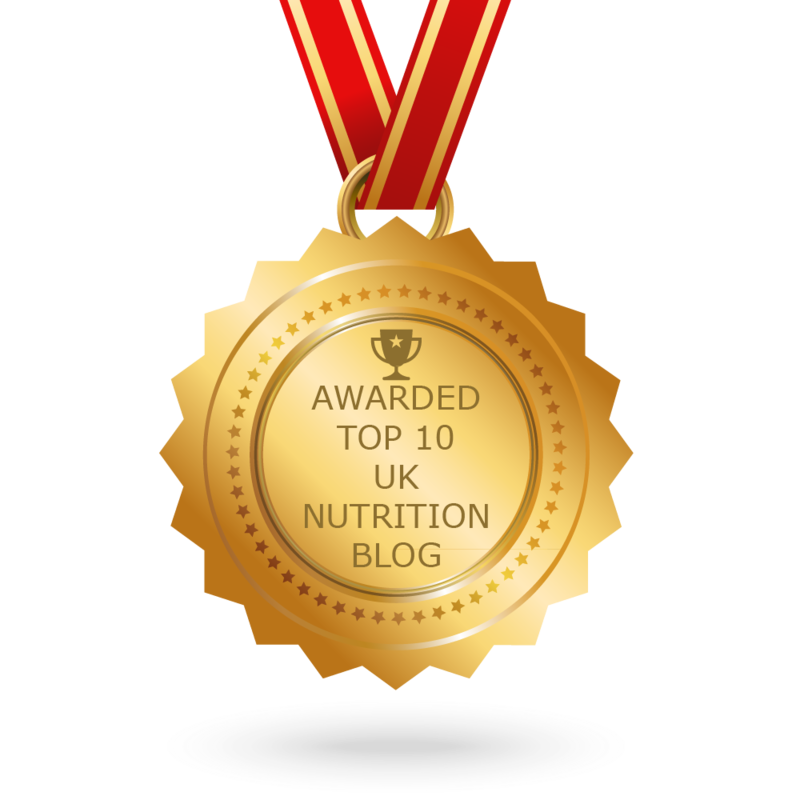 CONGRATULATIONS to every blogger that has made this Top UK Nutrition Blogs list! This is the most comprehensive list of best UK Nutrition blogs on the internet and I’m honoured to have you as part of this! I personally give you a high-five and want to thank you for your contribution to this world.